Thinking about becoming a librarian? Find out why today’s librarians face a unique set of challenges – and rewards. When you think of a librarian, it’s quite common to picture a grandmotherly-type sitting behind a desk, wearing thick glasses, and sorting through books. And while that may have been the case many years ago, today’s modern library has a very different role with its own set of unique challenges and rewards. Perhaps this is a career path you’ve been considering, and you’re thinking about enrolling in the online masters in library science degree program in order to get you started. While the online MMLIS degree can certainly provide you with the skills and knowledge you need to succeed in the field of library sciences, it doesn’t prepare you for all aspects of the job. Here’s a look at what to expect as a librarian of today. One thing that can be said about being a librarian is that there is a lot of variety. The job itself entails all kinds of duties and responsibilities and is far from sitting behind a desk asking kids to keep it down. Because we live in a modern, digital age, the role of librarians has really morphed into something entirely different; even more so if you choose to work at a large library. And don’t just think you’ll be stuck in your local town or school library. 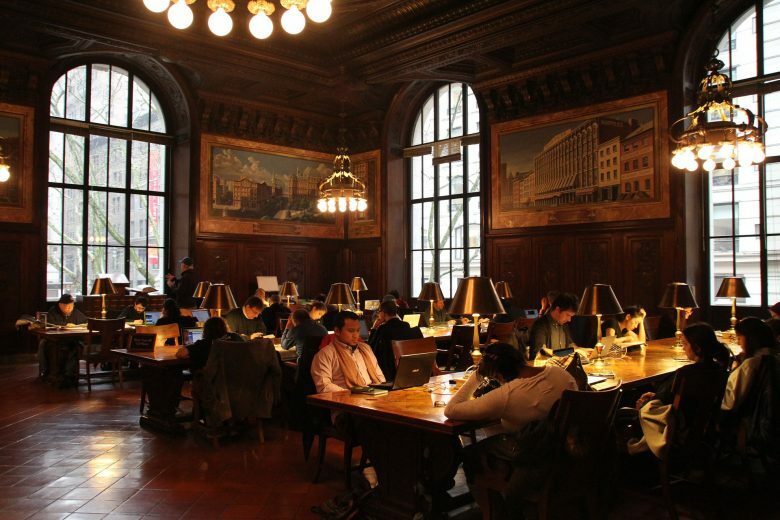 Librarians can work in a number of different places – academia, archives, and public libraries. A librarian’s main responsibility is to keep everything organised and in order. This is, of course, a lot more work than it sounds. However, digital technology has certainly helped with organisation and cataloging. Librarians are also responsible for organising electronic resources such as digital libraries, books, and publications in the library, and helping people to find information. So a librarian needs great communication skills. This is a skill that isn’t always talked about or even acknowledged, but it ends up playing a large part in the job itself. Ideally, a librarian will have a general understanding of current trends when it comes to the media, computers, and publishing. This will not only help them to do their own job but also to assist library patrons when necessary. Each of these areas will be touched upon on a daily basis, so a strong educational background is necessary. A library science degree is an excellent foundation as it takes a look at the traditional program, as well as today’s modern digital strategies. Because today’s modern librarian faces such a large variety of responsibilities and tasks, it truly is an engaging and intriguing line of work to be in. Add in the the fact that you’ll be interacting with people of all ages, and becoming a librarian looks like a rewarding career choice.